1. 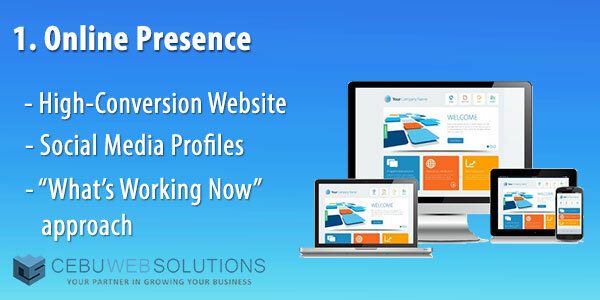 We will start by setting up your business's Social Media Profiles and building a High-Conversion Website based on "What's Working Now" approach in Digital Marketing. Your website design and contents will be regularly updated with the latest strategies in Digital Marketing. 2. Doing On-site and Off-site SEO together with running Social Media Campaigns to your targeted audience will result in website traffic that generates leads in your website. In this process, we are looking for people who are looking for products and/or services that you business is offering. We will also do Keyword Research and integrate these keywords into the contents of your website. On-site SEO is also done to make your website easily understandable by Search Engines like Google, Yahoo, Bing, etc. that will result in having your website rank higher in Search Engine Results Page (SERP) when someone is searching online using the keywords we are targetting. 3. 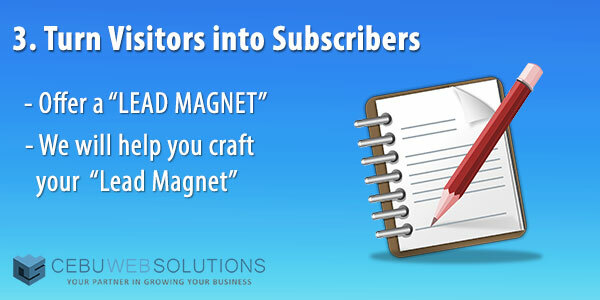 We will help you craft your own Lead Magnet that you can offer to your clients in exchange for their contact details. Contact us to learn more about Lead Magnet. 4. We will help you craft your own Tripwires so your clients can have a taste of what your business can truly offer and why they should choose your business instead of your competitors. 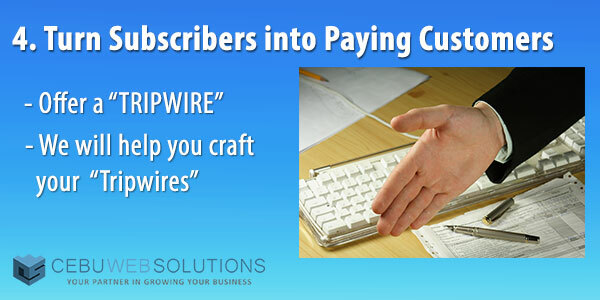 Contact us to learn more about Tripwires. 5. It is now much easier for you to offer your main products and/or services to your clients who had consumed any of your Tripwires. 6. 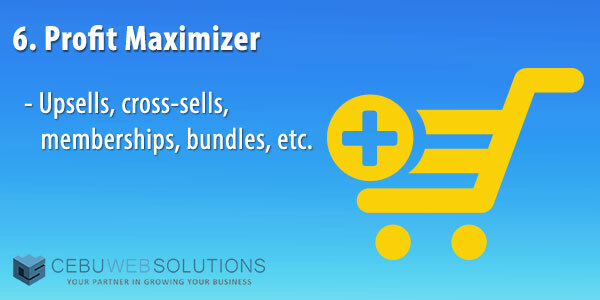 You can also offer upsells, cross-sells, etc to increase your profit. 7. 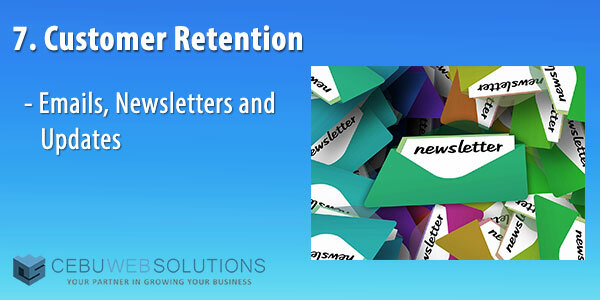 Nurture your existing clients by sending them regular email newsletters or SMS. 8. 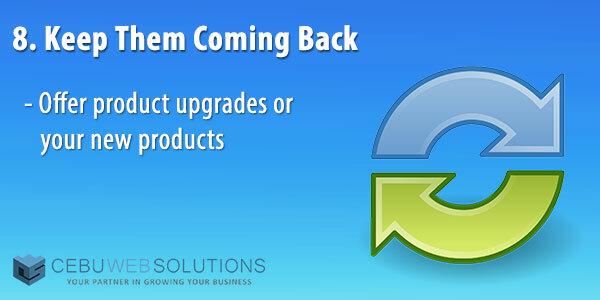 Offer your clients an upgrade on what they have purchased or availed from you. 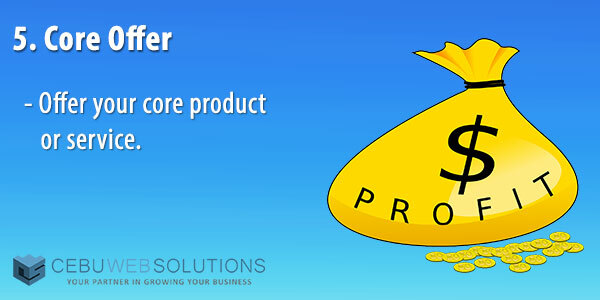 Or notify them through email or SMS about your new products and/or services. Digital Marketing is a complicated process which you, as a business owner, may not capable of. Instead of doing digital marketing on your own, which will require more of your time, partner with us and we will do all the hard work so you can focus in growing and improving your business. Instead of hiring your own Marketing Staffs, which you will need to train them first, partner with us and we will be your Digital Marketing Specialist. We will do all the hard work so you can focus on your business. Click here to send your inquiries and let's discuss how we can start your Digital Marketing campaigns. Website Updates/Website Maintenace Hourly Rate of only $25/hour. There's a lot of market online and it is easy to reach new clients IF you know what you are doing, else you will be wasting a lot of your money creating Facebook Marketing Campaigns that gets very low returns. This is where we are great at. We take care of marketing your business online while you have your time planning, implementing and expanding your business. Sounds great, right? Cebu Web Solutions uses Facebook platform in marketing your products and services online. Why? Facebook has now 2 billion active monthly users worldwide. That's a big market and we can help get a chunck of it into your business. What are the objectives of this campaign? 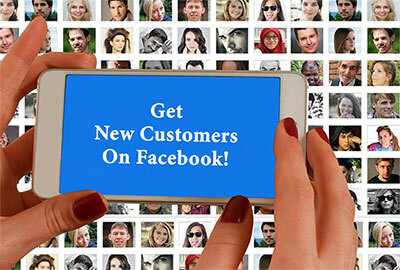 Grow your Facebook Business Page Likes by marketing to your targetted audience. Promote your products and services to people who already shows interest on your business. Help you engage with your clients and answers their quiries on your Facebook page ASAP. You do not want to wait for days just to get your questions answered, right? We know that. Create your new Client Database. Connect with your new clients whenever you have new products/services, offers or promotion. Newspaper Ad, Radio Ad and TV Ads, aside from being very expensive, your Ads are shown to a very broad audience - including those who do not need your products or services - but you are still paying for it. How is it possible to target an audience who are looking for specific products or service? You may have not know it but Facebook is tracking all activities of their users including the websites they visit, what they purchased online, etc. 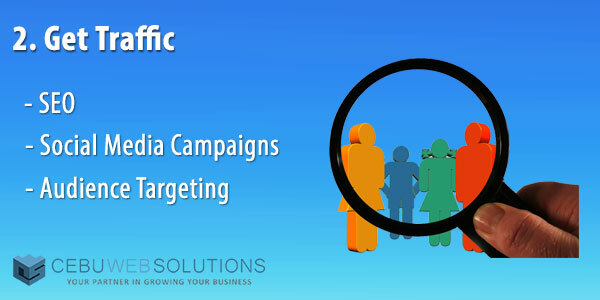 This is how Facebook determines each user and it is now easier for any businesses to create a campaign and target a specific type of audience. Is Social Media Marketing applicable to a certain type of business? No. Social Media Marketing is applicable to ANY kind business and industry. Cebu Web Solutions can help you achieve your goals in growing your business through Social Media Marketing. Contact us for a free consultation on how we can help you with your Social Media Marketing. Need help in getting started with your Facebook Marketing campaign? Contact us now for a Free Consultation. Is you website strugling in getting Leads and Customers for your business? Or are you planning on having a website but don't know what content should you put on your website? This article will guide you on what you need to have on your website so that your business will be seen online by your customers who are searching on Google and Yahoo for your services. 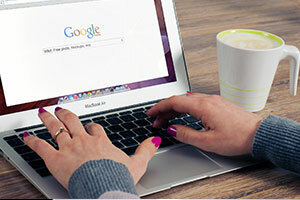 Make your website your best online marketing tool. By integrating the stategies below, your website will be your source of new leads and new customers. Discover the exact keywords/words that your customers are using in searching for your services/products on Google, Bing and other Search Engines. 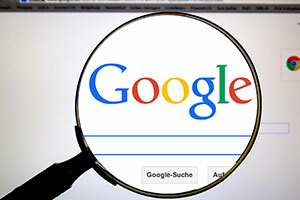 Structure your website contents that Search Engines can easily understand therefore showing your website on the Search Engine Results Page (SERP). 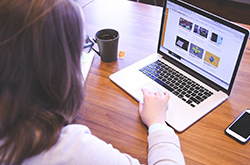 Aligning your website with your marketing goals. A website strategically-crafted for your target audience to take action, guiding them to the buyer's journey. 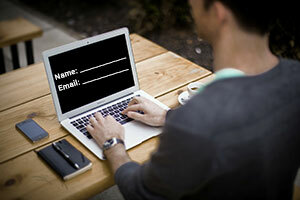 Give a compelling reason for your website visitors to leave their contact info for your to contact them at a later time. 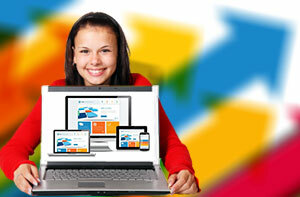 Our Business Web Development package integrates these 4 Effective Website Developement Strategies into your website. Your website is also strategically-designed and developed to help your business get more leads, sales, revenue and build your email list. Let us help you implement these strategies. To get started, tell us about your business and who your target customers are. 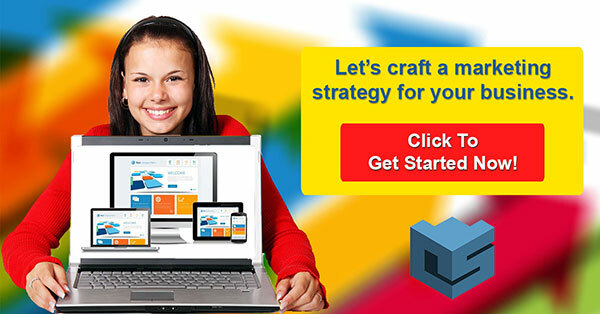 We will help you build a website tailored-fit for your business that generates Leads, Sales, Sign-ups or New Clients. Our Client Manager will contact your via email to schechedule a NO OBLIGATION Strategy-Call session. Your Business or Company Name. Describe your products or services. Who are your target customers/buyers?